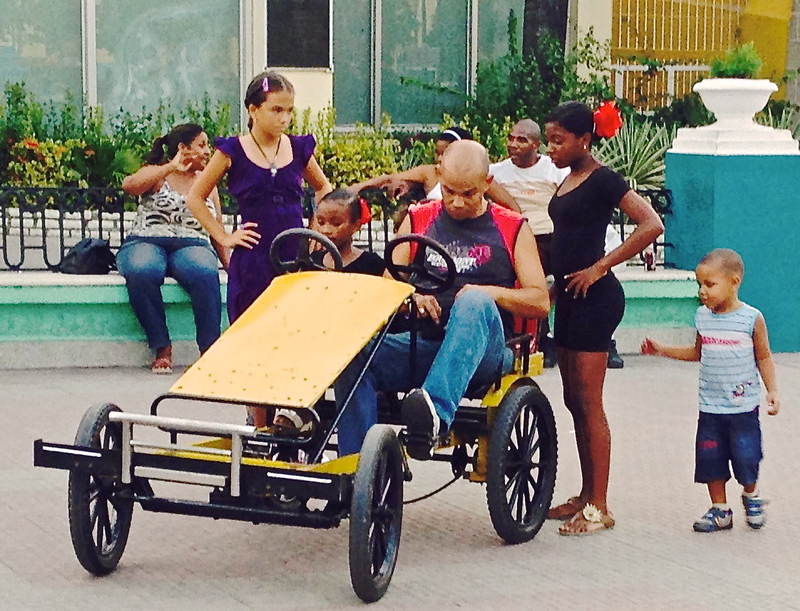 As we leave Santiago de Cuba, we see less and less cars. Except for the occasional horse drawn carts, some lone riders on horseback, and a couple of pedestrians, we have the highway to ourselves. We ride over long stretches covered with potholes. At some point, the bus makes a sudden stop for an ox to find his way to the grassy embankment on the other side of the road. We pass open fields, green sugar cane plants, and small shacks built with wood and cinder blocks. A lush, and for the most part, untouched landscape. In the distance, we see the Sierra Maestra mountains, where Castro hid out and plotted the revolution. 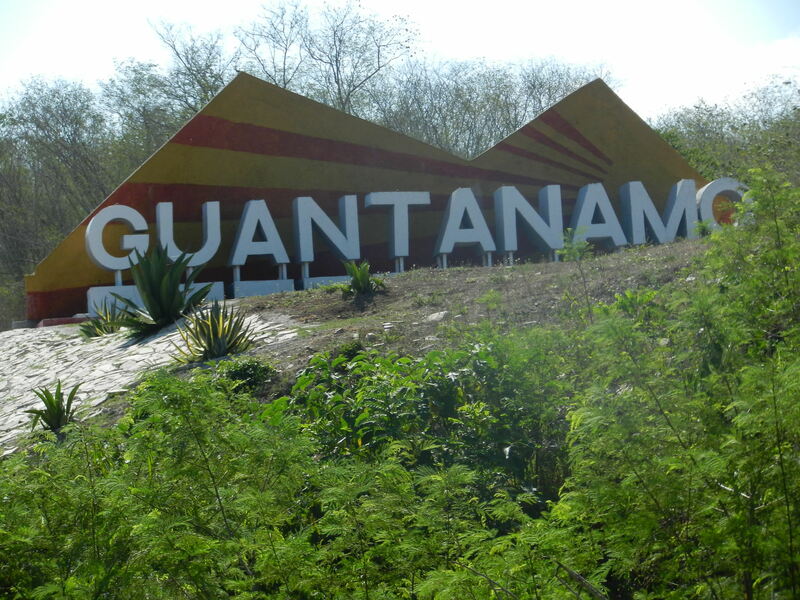 More than an hour after leaving Santiago, the road improves, and we enter Guantanamo. We are still in Cuba, a few miles from the U.S. military base. We drive through a residential neighborhood. Houses are in varying states of disrepair. Our bus stops in front of a house in better shape than its neighbors. The ornate columns and stucco façade are painted a color reminiscent of grasshopper pie. This is the synagogue. We climb a long flight of stairs to reach the sanctuary where we are greeted by people singing “Havenu Shalom Aleichem” (We bring peaceful greetings to you.) I don’t know who started the singing, our tour group or the congregants. Our voices join together in the language we share. The leader boasts that this congregation is 86 years old. Once, there were 1200 Jews in Guantanamo. Most fled after the revolution. Now, there are 54 members of this congregation. The group survives with the help of Jewish communities from abroad. Not many Jewish tour groups make it this far east on the island. We bring them the bulk of our donations. 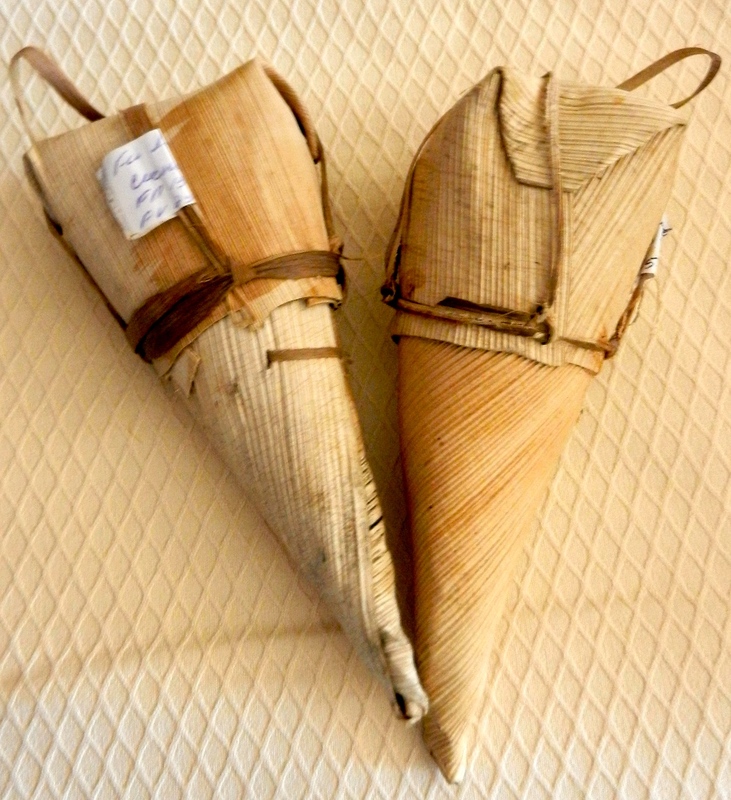 They give us sticky sweet treats of coconut and syrup wrapped in dried leaves. Does anyone know the name of these addictive concoctions? A handful of the religious school students entertain us with Israeli dances. We stand watching. Their joy and vitality are contagious, and we join in. This story was published recently in The Big Roundtable. Ariela had many hospital stays. The time in Pediatric Intensive Care was the longest and the most difficult. I’m taking this opportunity to raise awareness for Rett Syndrome. RS was Ariela’s underlying diagnosis, though we didn’t know that at the time of this story. About 80% of girls with RS have scoliosis (curvature of the spine). 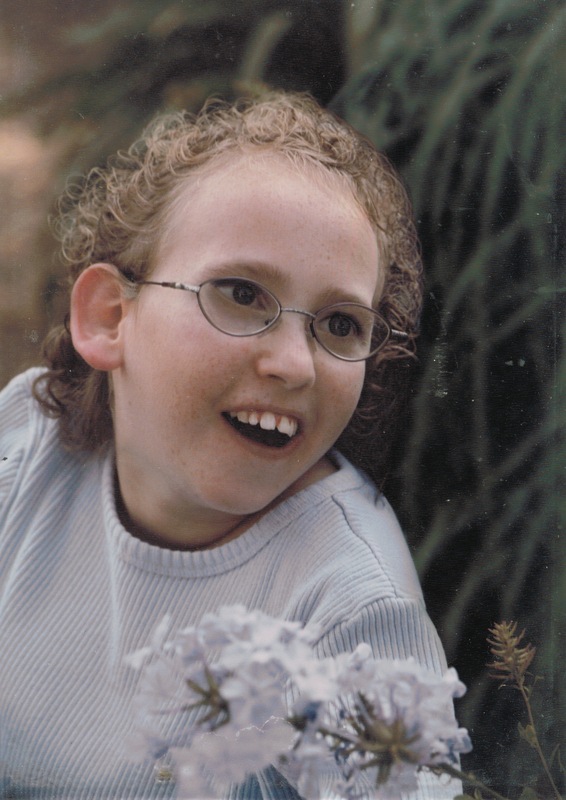 Like Ariela, many of them need the spinal surgery I describe in this story. Sunday’s San Francisco Chronicle ran a story about Leap Transit and other new alternatives to public transportation. These private, luxury buses offer Wi-Fi and Blue Bottle Coffee. You can spread out, even sit at a desk. What else would you expect in San Francisco? 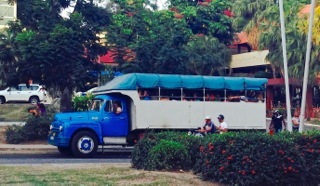 In Santiago de Cuba, privately owned covered trucks are the alternative for crosstown transit. Far from luxurious, they’re not even quaint. They roam the streets in greater numbers than the government run buses. There’s a driver in front and another man in back collects the fares. Passengers climb on board and take their seats on the benches that line the long sides of the trucks. The trucks we saw crammed in at least twenty people. Our air-conditioned tour bus takes us to Santiago de Cuba’s main plaza. Trees, benches and a fountain painted peacock blue decorate the center of the square. We ride an elevator to a rooftop restaurant for a bird’s eye view of the activities below. It’s too hot to be indoors. We watch as the street lamps turn on and the townspeople fill the plaza. 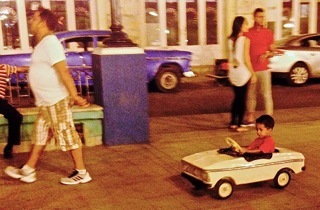 Children entertain themselves with a single pedal car. An older child pedals while younger kids pile on behind. A toy convertible appears for the toddlers. One trip around and another little one gets a turn. 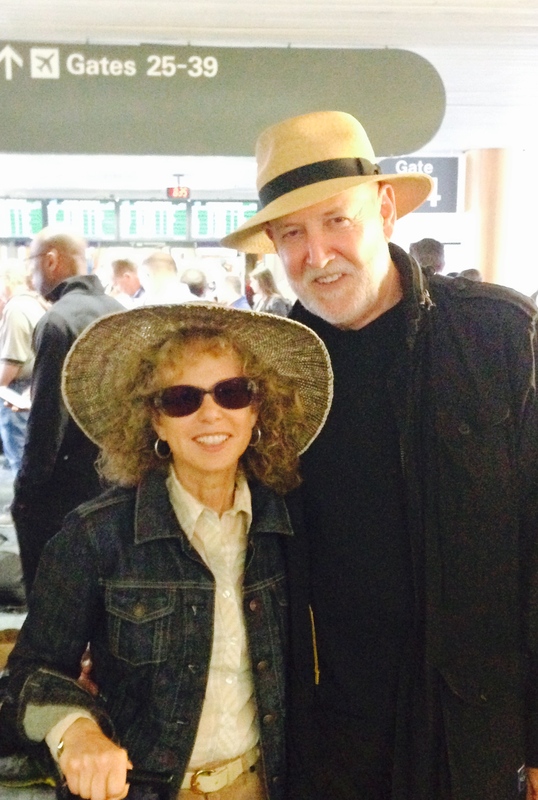 We flew from Miami to Santiago de Cuba, the second largest city in Cuba. First stop – San Juan Hill, site of a decisive battle in the Spanish American War. We arrived midday. It was hot, and there was little wind. Except for our group of travelers, the battle scene was quiet. A few men were resting under the trees. A boy approached me, opened his palm and offered me a small wood carving in the shape of a dolphin. 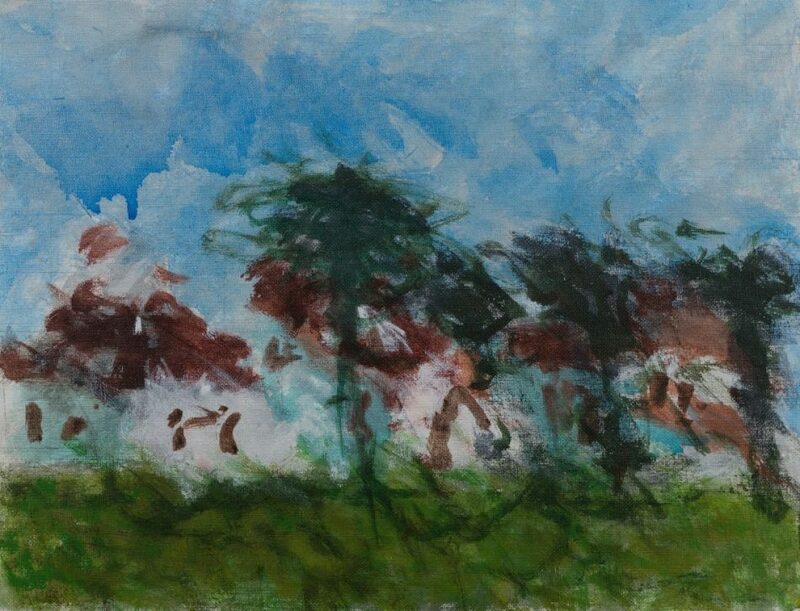 He pointed to a large tree with long, smooth leaves. The hard wooden nuts that hide amidst the branches were his medium. I gave him a dollar. He followed me on the path around the monuments. More men rest in the shade. A horse stands motionless on one side of a tree. No one pays attention to the animal. I point to the horse. 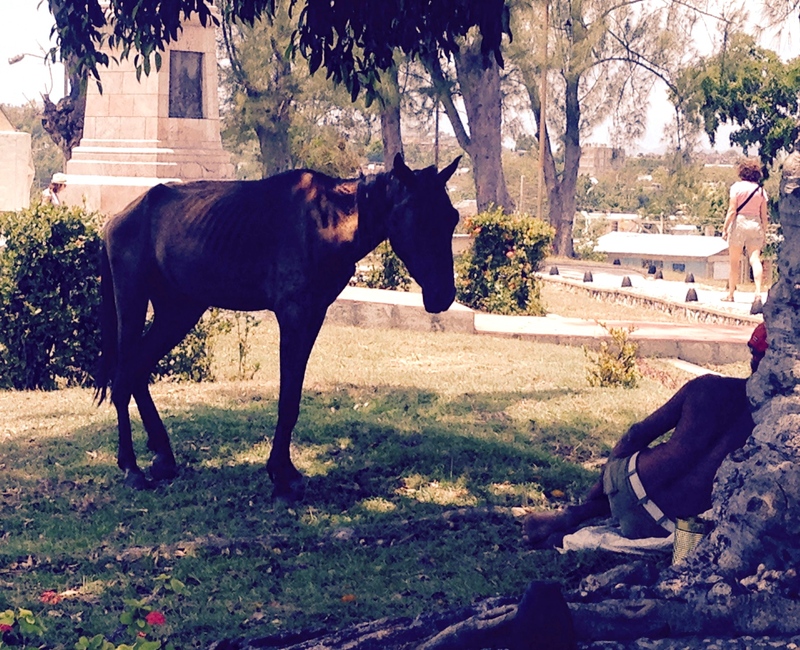 “Sin comida (no food),” the boy said, and I noticed the horse’s ribs. The men leaning against the tree, were thin, too. In town, we saw people standing in line for food rations. That evening we attended Shabbat services in an old synagogue in Santiago. We are ushered in off the narrow street before I could stop to see if there was any marking on the outside of the building. Inside was a long narrow hall with white walls and windows covered with dark wood panels. The Cuban and Israeli flags flanked either sides of the room. The seats were plastic stackables, the inexpensive kind you find at a dollar store. At the end of the hall I saw familiar Jewish signs. A bookcase with menorahs. A dark wooden ark topped with the Ten Commandments. The Ner Tamid (the eternal flame). A young man in a white shirt and black slacks led the service. There are no rabbis in Cuba. Our tour group of 29 fill the hall. It’s hard to say how many of the locals came – more than six? Less than twelve? A kind faced woman turned the page for me in the Spanish/Hebrew prayer book. The Santiago congregation is 90 years old. They rely on donations, mostly from the Canadian Jewish community. They have about 30 congregants, mostly seniors, and their numbers are dwindling. How many will be here in the next five years? It’s not clear how large this congregation once was. Later we learn that once there were 15,000 Jews in Cuba. Eighty percent left in 1959-1960. Most went to Florida. Some to Israel. The young man who led our service was an engineer. He spent 4 months in a yeshiva in Jersusalem. He thought about making aliyah (immigrating to Israel) where he would have greater economic opportunities and more interesting work. Most of his peers have immigrated, but he doesn’t want to leave his elderly parents. The Jewish mothers in our group commented that he should be married, but where will he find a Jewish bride? The congregants brought out fruits and snacks to share with us. It was too much food, and I felt guilty to take the food of people who live on rations and donations. But Jews share food, and that is what we did.